When a blood clot ends up in your lungs, it can be deadly. But that blood clot didn’t start out in your lungs. It initially formed in your veins where it is referred to as a thrombus. Then it broke off and migrated to your lungs – a process called venous thromboembolism or VTE. Venous thromboembolism is the third most common form of cardiovascular disease, killing around 100,000 Americans each year. What if something as simple as adding more omega-3 fatty acids to your diet could dramatically decrease your risk of VTE? That’s exactly what a recent study (Hansen-Krone et al, J. Nutr., 144: 861-867, 2014) has suggested. It claims that one of the benefits of omega-3 in your diet may be to help prevent venous thromboembolism. 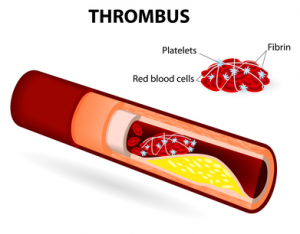 What Is Venous Thromboembolism or VTE? As described above, venous thromboembolism starts when a blood clot (also called a thrombis) forms in a vein. About 2/3 of the time, the blood clot forms in the deep veins in the leg (called deep vein thrombosis or DVT) and stays there before eventually dissolving. The symptoms of deep vein thrombosis or DVT are generally leg pain and swelling. About 1/3 of the time, the clot breaks loose and travels to the lung where it blocks blood flow to a portion of the lung (a process called pulmonary embolism). 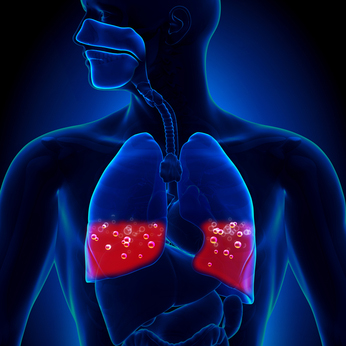 The symptoms of pulmonary embolism are severe shortness of breath, chest pain when breathing or coughing, and death! While the first two symptoms are pretty frightening, it’s the last symptom (death) that we’d really like to avoid. Why Might Omega-3s Prevent Venous Thromboembolism or VTE? One of the benefits of Omega-3s is they have been shown to reduce inflammation and platelet aggregation, two of the most important risk factors for venous thromboembolism. So it is logical to think that omega-3s might help reduce the risk. However, good scientists don’t rely on logic alone. They test their hypotheses by doing clinical studies. They were all performed with populations in the United States where fish consumption is relatively low and many of the fish have low omega-3 content. As a consequence omega-3 fatty acid intake was low and there wasn’t much of a range in intake. Some of the studies did not ask about the use of omega-3 supplements. In a country where 37% of the population takes fish oil supplements, that is a huge omission. They did not measure omega-3 fatty acid levels in the blood to verify that their dietary surveys were accurate. Do Omega-3s Prevent Venous Blood Clots or DVT? The current study (Hansen-Krone et al, J. Nutr., 144: 861-867, 2014) followed 23,631 people aged 25-97 from Tromso, Norway for 16 years. The participants filled out a comprehensive dietary survey at the time of enrollment where they indicated the number of times per week they ate fish and how often they used fish oil supplements. The scientists in charge of the study verified the estimated omega-3 intake from the dietary analysis in a subgroup of the population by measuring omega-3 fatty acid levels in their blood. Finally, they utilized Norway’s excellent health records to determine how many of the people in their trial experienced a venous thromboembolism – either fatal or non-fatal. Blood level measurements of omega-3 fatty acids verified the omega-3 intake estimates from the dietary survey. There was a direct correlation between estimated intake and blood levels of the omega-3 fatty acids. Those participants who ate fish most often (≥3 times/week) were 22% less likely to experience a VTE than those who ate fish least often (1-2 times/week). That difference was borderline significant. Those participants who ate fish most often and took fish oil supplements were 48% less likely to experience a venous thromboembolism than those who ate fish least often and took no fish oil supplements. That difference was highly significant. Since not all of the previous clinical studies have reached the same conclusion, it is important to look at the strengths and weaknesses of the study compared to the previous studies. Tromso is located on the northeast coast of Norway, so fish consumption is high and most of the local fish are excellent sources of omega-3 fatty acids. Consequently, omega-3 intake was relatively high, which significantly increases the chance of seeing an effect if one exists. Fish consumption in the US is generally lower and not all of the fish consumed are good sources of omega-3s. 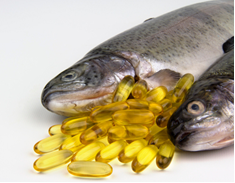 The study also took into account the use of omega-3 supplements. Some of the US studies did not. The estimates of omega-3 intake from the dietary survey were verified by blood analysis of omega-3 fatty acids. The amount of omega-3 fatty acids in the supplements was not recorded, so it is unclear what level of omega-3 fatty acid intake was required to see a significant decrease in VTE risk. This will make it difficult for future investigators to repeat the study. They did not measure other nutrients that might affect the venous thromboembolism risk. 1) VTE is a serious condition with a high rate of mortality. 2) A recent study suggests that a combination of high fish consumption and fish oil supplement use may significantly decrease the risk of venous thromboembolism. 3) It is interesting to note that even three servings/week of omega-3 rich fish was not enough to cause a significant decrease in venous thromboembolism risk. It required additional omega-3s from fish oil supplements before the decreased risk was significant. 4) Not all previous studies have come to the same conclusion. So while the most recent study had several improvements in design compared to previous studies, the case can’t be considered closed. More studies are clearly needed. 5) This study suggests that omega-3 fatty acids may help prevent VTE from occurring. You should not consider them to be a treatment for the condition. If you are experiencing symptoms of venous thromboembolism (leg pain and swelling for deep vein thrombosis (DVT) or shortness of breath and pain when breathing for pulmonary embolism), don’t reach for your fish oil capsules. Call your doctor right away. I enjoy reading Dr Cheney’s newsletters and appreciate his reference to the particular studies. There is just so much hype out there and the information that is being presented to the masses has no scientific basis. I like fish, however I don’t consume it three times a week. Walleye, whitefish, Cod, and many of the types that are mild in taste do not contain the Ogema 3’s. This article is making me realize that I do need to be consistent in finding and taking a high quality Omega 3 supplement. Thank You Dr. Chaney! Very interesting. Looking forward to your newsletters.